Deepika Padukone recently tied the knot with her longterm boyfriend Ranveer Singh in a private ceremony in Italy’s Lake Come and now she is being the best bridesmaid for her friend Srila Rao on her wedding. On Deepika’s wedding ceremonies, the actor donned gorgeous traditional outfits by Sabyasachi Mukherjee and now her best friend is wearing the same designer for her wedding. Sabyasachi took to his Instagram to share Deepika and Srila’s stunning pictures from the latter’s wedding. 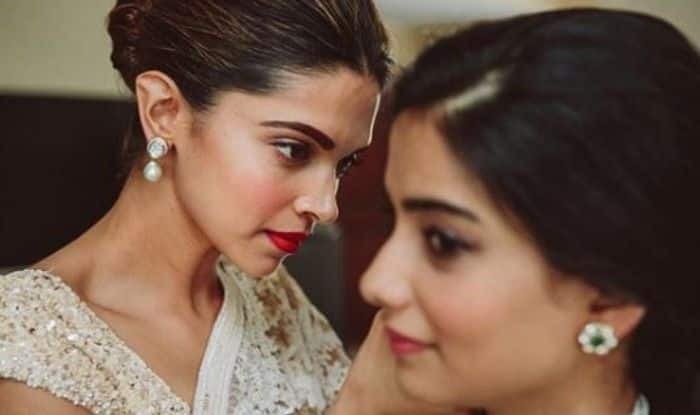 In one snap, one can see Deepika helping her best friend getting dressed for the big day just like any good friend would do. Another one is a candid still where the Padmaavat actor can be seen facing her back to the camera while her friend is all smiles sitting on a chair. In the third picture, Srila is all dressed and Deepika stands next to her being her support.